Find out about cystic fibrosis symptoms, what causes cystic fibrosis and cystic fibrosis treatment from the natural health viewpoint and alongside classical medical treatment. What is cystic fibrosis disease? Cystic fibrosis (also known as CF or mucoviscidosis) – “is an autosomal recessive genetic disorder that affects most critically the lungs, and also the pancreas, liver, and intestine. 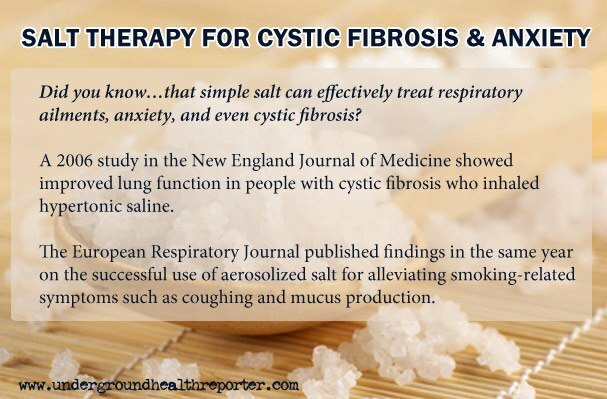 It is characterized by abnormal transport of chloride and sodium across an epithelium, leading to thick, viscous secretions.” In cystic fibrosis the body cells are affected and they produce secretions that are thicker and stickier than usual. These abnormal secretions block tubes in organs, particularly lungs and pancreas. The most serious cystic symptoms are difficult breathing and coughing, as result of multiple lung infections due to viscous secretions trapped in lungs. Other symptoms include sinus infections, poor growth and poor weight gain, accumulation of thick mucus, longstanding coughing, shortness of breath, wheezing and gastrointestinal and endocrine symptoms. Beside the regular medical cystic fibrosis treatment, herbs that reduce inflammation and clear mucus are often helpful, such as: cayenne, ginger, boswellia, hyssop, mullein, pineapple enzymes, garlic and peppermint. Cystic fibrosis symptoms may be alleviated by vitamin E supplements1 , natural rock salt brine or sole (add one teaspoon of sole to a glass of water, in the morning, and drink it before eating), hydrogen peroxide (H2O2) 2 and mucolytics such as herbs and long term home salt therapy. How to make sole: In a jar with lid add rock salt crystals and poor over 2-3 inches spring water and let sit overnight. If all the salt have dissolved, add more salt crystals to the water. The sole is ready when it takes no more salt and is fully saturated with salt. Keep the sole in the closed jar. It will not go bad because of the natural anti-bacterial and natural fungicide properties of salt. Natural unprocessed rock salt, beside sodium chloride, is full with other natural occurring minerals such as magnesium, calcium, iodine, potassium… some amount of these will also be absorbed through respiratory mucosa while breathing in the salt aerosol.